A mere 25 km northeast of Edmonton lays the city of Fort Saskatchewan. Stretching along the banks of the North Saskatchewan river, Fort Saskatchewan covers an area of over 48 square kilometres. Fort Saskatchewan has a population of over 24,000 residents, and over 5,800 private homes, and borders both Strathcona County and Sturgeon County. Residents here are proud of our riverside city and its heritage..
Fort Saskatchewan's rich history dates back over 130 years. In 1875, the Mounted Police opened a fort for canoe building along the North Saskatchewan river, and the fort slowly grew until 1905 when it received a population boost, thanks to the Canadian Northern Railway. The railway established a transcontinental rail line and a bridge crossing the North Saskatchewan river. In 1985, Fort Saskatchewan became a city in Alberta. It continues to demonstrate steady growth and a promising future. City residents have easy access to new Fort Saskatchewan Community Hospital that opened in 2012 and educational institutions. The Fort Saskatchewan real estate market includes single family homes, townhouses, condominiums, apartments and senior housing facilities. Its thriving labour force leads to numerous employment opportunities, in both light and heavy industries. Fort Saskatchewan also provides its citizens with cultural activities, religious institutions, entertainment and recreational amenities, as well as low taxes. In an effort to maintain low costs and a high standard of living, the city has developed unique methods of city landscaping. As part of their Sheep Grazing Program, a flock of 50 sheep roam the downtown core during the summer months, providing grass and weed maintenance. In response to the Sheep Grazing Program, civilians adopted a city sheep mascot named Auggie. Sheep are not the only ones to roam Fort Saskatchewan's green open spaces: with over 400 hectares of parks and recreational areas, nature-lovers can walk, run, bike or skate throughout the city. There are over 50 kilometres of trails connecting the city with pathways and sidewalks. Camping and sport facilities also provide outdoor entertainment activities. From its colourful history to its cuddly sheep mascot, Fort Saskatchewan provides residents with family-friendly, scenic, riverside living. Get better acquainted with the city of Fort Saskatchewan: learn more about our emergency services, local schools, public transportation, municipal government, and our unique Sheep Grazing program. There are over 400 hectares of park land and over 50 kilometres of multi-use trails in Fort Saskatchewan. 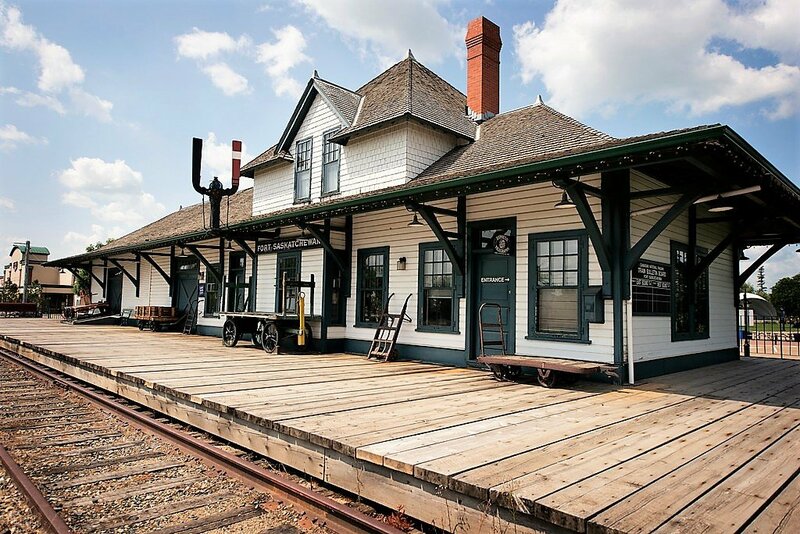 Fort Saskatchewan is proud of its heritage, and has some great local arts facilities and yearly events. There are many things to do and way to stay active in Fort Saskatchewan. Join a local club or group, volunteer with seasonal events, or visit one of our many city recreational facilities.